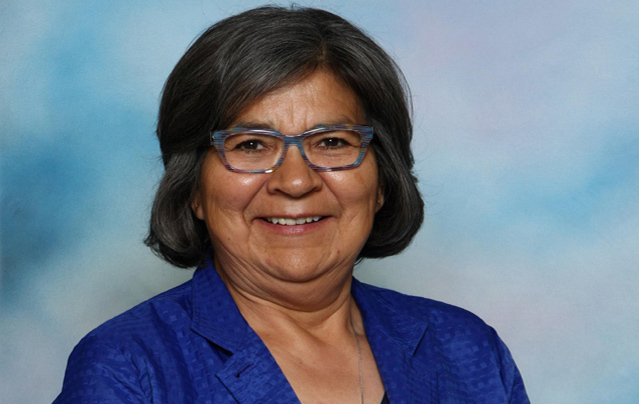 For Dr. Patricia Makokis, walking proved to be an inspiration to produce a film that is fostering conversations among non-Indigenous people about the true meaning of treaty. Treaty Talk: Sharing the River of Life is a 50-minute teaching tool to help non-Native people understand their collective responsibility to treaty. Based on the traditional Cree understanding of natural law, the film explores and models how racism and discriminations can be overcome at local and systemic levels, so that Indigenous nations and non-Indigenous peoples can build better relationships and work together. “I am an avid walker,” said Dr. Makokis, who is from Saddle Lake Cree Nation. She is also an author, speaker and educator. Dr. Makokis was one of the only Indigenous people to take part in that walk. In fact, Dr. Makokis was moved to tears – and action. Upon returning home, Dr. Makokis connected with the now late Dr. Vincent Steinhauer, who was then president of Blue Quills College. She told him about her experience with the talking circle, and began to plan a “treaty talk” in St. Paul to help improve relations between the Indigenous and non-Indigenous communities. From that came the idea to make a film that could be shown to non-Native audiences about treaty and being allies to Indigenous peoples. With a shoestring budget and most of the preparatory work being done over the phone and the Internet, the actual production of the film came together in two weeks. “The talk itself was unscripted and totally from the heart,” said Makokis. She also emphasizes that the film focuses on treaty, rather than reconciliation. “Reconciliation is a buzzword. It's a political moment in time right now, and it can die as quickly as the election happens. “We intentionally focused on educating people about the treaties and what those treaty obligations are when our relatives first met; what was going on when they sat together and they smoked the pipes, what were they agreeing to, and how important that is in our relationship as being people who are related, because in our spiritual and cultural beliefs we believe we are related to all people,” she said. “I want the audience to be educated on what treaties are, what they were, where their ancestors came from, and what was going on when they were leaving their places of origin,” said Dr. Makokis. “Things were happening in Europe that created this need to come to a different land. It's fine to think of this moment in time in terms of capitalism – “I paid for this land” – but there is a bigger, deeper story of us coming together. Treaty Talk will be screened at First Mennonite Church (3650 91 Street) on Friday, April 12 at 7 p.m. Dr. Makokis and friends from Saddle Lake will be in attendance for a discussion following the film. Watch the film on the above link as well.